Forskolin is a natural substance extracted from the root of the Indian coleus plant (Coleus forskohlii), a herb related to mint. The plant is native to India, Nepal, and parts of Southeast Asia and has been used for centuries in Ayurvedic and folk medicines. Forskolin is known to activate adenylate cyclase class III (AC-III), an enzyme involved in the regulation of all human cells. The primary function of AC-III is to facilitate the transfer of chemical messages from the outside of the cell to the inside of a cell. By stimulating AC-III, forskolin is believed to promote weight loss, increase lean muscle and bone mass, and treat diseases like glaucoma and asthma. 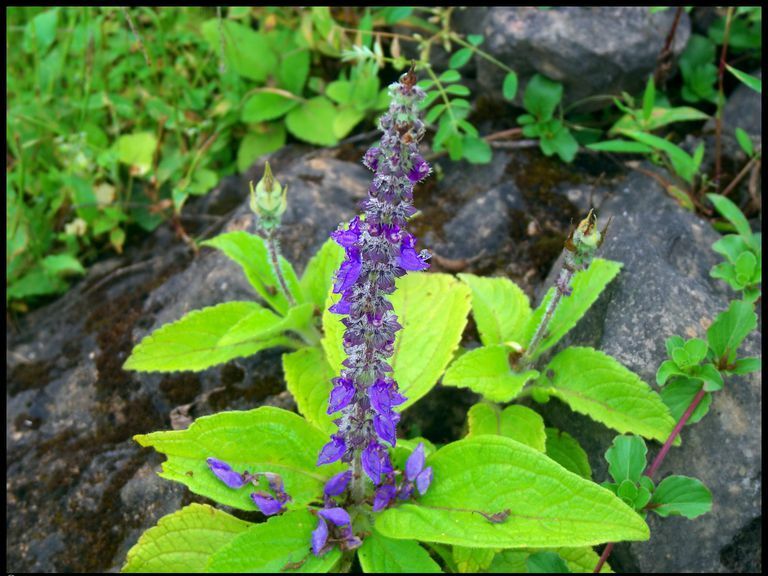 Alternative practitioners have attributed forskolin with a multitude of medicinal properties, including the treatment or prevention of heart disease, angina, irritable bowel syndrome, urinary tract infections, eczema, psoriasis, thyroid disease, and high blood pressure. While many of these claims remain unproven, recent studies suggest that forskolin may, in fact, offer certain health benefits. Forskolin may help treat obesity, according to a small study published in Obesity Research. For this investigation, 30 overweight or obese men were assigned either a forskolin supplement (250 milligrams twice daily) or a placebo. At the end of the 12-week study, men who took forskolin achieved greater losses in body fat and increases in lean muscle mass compared to the placebo group. They also experienced significant increases in bone mass and testosterone. Despite the positive findings, the results have not been replicated in other studies. Further research would be needed to establish whether forskolin is the weight-loss remedy many people believe it to be. Early research suggests that eye drops containing forskolin may help protect against glaucoma, a group of diseases characterized by abnormally high inner eye pressure. A 2013 study from Italy reported that a supplement containing forskolin and the flavonoid called rutin reduced inner eye pressure by 10 percent in people with glaucoma after 30 days. Higher doses corresponded to greater decreases in eye pressure. A similar study from India reported that a 1% forskolin eye drop was able to reduce inner eye pressure in 90 adults with moderately severe glaucoma after four weeks of treatment. Forskolin may help fend off asthma attacks, says a 2006 study from the Journal of International Medical Research. The six-month investigation, which involved 40 adults and children with persistent asthma, concluded that forskolin supplements reduced the incidence of attacks better than sodium cromoglycate, a common asthma medication. A similar study from Mexico reported that a 10-milligram daily dose of forskolin compared favorably to twice-daily inhalations of the asthma drug Qvar (beclomethasone) in reducing the number of asthma attacks. Where forskolin underperformed was in its ability to improved respiratory function (as measured by the FEV1). By comparison, Qvar improved all respiratory values, meaning that overall breathing capacity was increased with routine use. Forskolin works in a similar way to many asthma drugs by boosting the level of a compound known as cyclic adenosine monophosphate (cyclic AMP). Doing so relaxes the air passages and reduces the risk of respiratory spasms. Forskolin supplements do not appear to be harmful, although their long-term safety has yet to be established. Some people may experience side effects after taking forskolin, including headaches, lightheadedness, flushing, blurry vision, clammy skin, and nausea. Many of these symptoms are related to a sudden drop in blood pressure (known as hypotension). Forskolin should also be avoided in people with polycystic kidney disease (PKD). The drug appears to accelerate the growth of kidney cells and may end up creating additional cysts. Due to the lack of safety research, forskolin should not be used in children, pregnant women, and nursing mothers. There are no guidelines directing the appropriate use of forskolin supplements. The supplements are most commonly sold in capsule form but are also available as tinctures, extracts, and soft gels. They are easily sourced online and can also be found in natural food stores, supplements stores, and some retail pharmacies. Forskolin supplements are typically manufactured in doses ranging from 385 milligrams to 500 milligrams. As a general rule of thumb, never exceed the recommended dose on the product label. Dietary supplements are not strictly regulated in the United States and can vary considerably from one brand to the next. To ensure quality and safety, only choose supplements that have been tested and certified by an independent certifying body like the U.S. Pharmacopeia (USP) or ConsumerLab. Forskolin is often included in weight loss supplements marketed as "fat burners" or "appetite suppressant." Other manufacturers will infer that forskolin can aid in the treatment of thyroid disease or reduce cardiovascular risk. As convincing as a pitch may be, don't be swayed by health claims that may or may not be true. Can you get forskolin from coleus plants? While forskolin is derived from the Indian coleus plant, there is no evidence that consuming the coleus offers any health benefits. Coleus plants are not toxic per se but are not really edible either. Moreover, the sap in the plant can sometimes cause skin, mouth, or throat irritation if touched or eaten. Godard, M.; Johnson, B.; and Richmond, S. Body composition and hormonal adaptations associated with forskolin consumption in overweight and obese men. Obes Res. 2005 Aug;13(8):1335-43. DOI: 10.1038/oby.2005.162. González-Sánchez, R.; Trujillo, X.; Trujillo-Hernández, B. et al. Forskolin versus sodium cromoglycate for prevention of asthma attacks: a single-blinded clinical trial. J Int Med Res. 2006 Mar-Apr;34(2):200-7. DOI: 10.1177/147323000603400210. Majeed, M.; Nagabhushanam, K.; Natarajan, S. et al. Efficacy and safety of 1% forskolin eye drops in open angle glaucoma – An open label study. Saudi J Ophthalmol. 2015 Jul-Sep;29(3):197-200. DOI: 10.1016/j.sjopt.2015.02.003. Vetrugno, M.; Uva, M.; Russo, V. et al. Oral administration of forskolin and rutin contributes to intraocular pressure control in primary open angle glaucoma patients under maximum tolerated medical therapy. J Ocul Pharmacol Ther. 2012 Oct;28(5):536-41. DOI: 10.1089/jop.2012.0021.